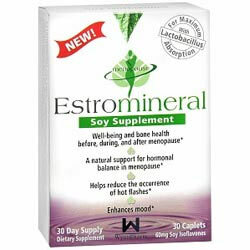 Estromineral Reviews: Does It Work And Give You The Best Results? Aid in enhancing digestion by balancing the microflora of your digestive system, ensuring proper supplement absorption while also enhancing your body’s nutrient levels. However there is no clinical evidence backing these claims. This product is manufactured and distributed by WynnPharm, Inc., a US-based company founded in 2005, products of which include supplements for promoting joint health, topical pain relievers, supporting women’s health, and vitamin and mineral supplementation. What Are The Ingredients In Estromineral? Lactobacillus: Enhances your digestion, nutrient absorption while simultaneously setting up your intestines to more effectively assimilate the soy isoflavones beneficial to your health and well-being. However it may cause bloating. Take 1 caplet of Estromineral at the same time, after a meal, everyday. This product provides a safer, all-natural alternative to high risk hormone replacement pills. Although it may cause muscle weakness. This product is free from synthetic preservatives, artificial flavors, and synthetic dyes. 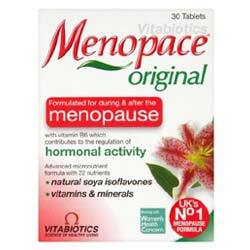 This product effectively improves the menopausal symptoms of users. The manufacturer failed to provide clinical trials to establish product efficacy and effectiveness in delivering claims. The manufacturer does not specify a money back guarantee process. Estromineral appears like most other vitamin and mineral supplement, pulling in several ingredients to deliver very specific health benefits. As established as the ingredients sound, proof of efficacy is a top requirement for supplementation. Unfortunately, the manufacturer failed to provide that information. At the end of the day, this product is only as good as how well you respond to it.